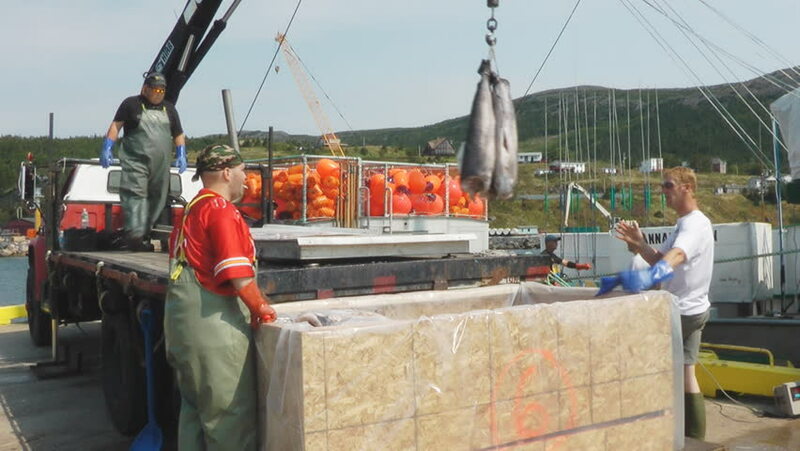 BAY BULLS, NEWFOUNDLAND - SEPTEMBER 2010: Crew of the fishing boat Hannah Boden unload a catch of swordfish, this boat was featured on the Discovery t.v. show "Swords Life On The Line". 4k00:11Muadzam Shah, Malaysia - July 22th, 2018 : Big damage of asphalt road on the hillside cause of heavy rain and sliding earth in Muadzam Shah, Malaysia. hd00:45MAEKLONG, THAILAND - FEBRUARY 25, 2012: A train is going through the Maeklong Market on February 25, 2011 in Maeklong, Thailand. This unique food market is built on the railway tracks. 4k00:14Piran, Slovenia - 02.12.2018: Fisherman preparing fish net on the fishing boat in harbor. Fishing industry concept.